While everyone needs a will to settle money matters, there’s a far more compelling reason to have one if you have minor children. Naming a trustworthy, caring guardian for your children is one of the most important things you can do. Lack of a will can create big problems if both you and your spouse or partner were to die, or if you’re a single parent. If your child or children have a living biological parent who does not have custody, the court will almost always give custody to that individual if he or she comes forward. In blended families, however, this can result in siblings being separated. If your current partner is not your children’s biological parent and has not formally adopted them, the children may stay with their stepparent or go instead to grandparents, aunts, or uncles, or even into foster care. It varies by court and state. In the absence of a will, the court may create messy custody battles or award custody to a family member who may not have volunteered to raise your children. 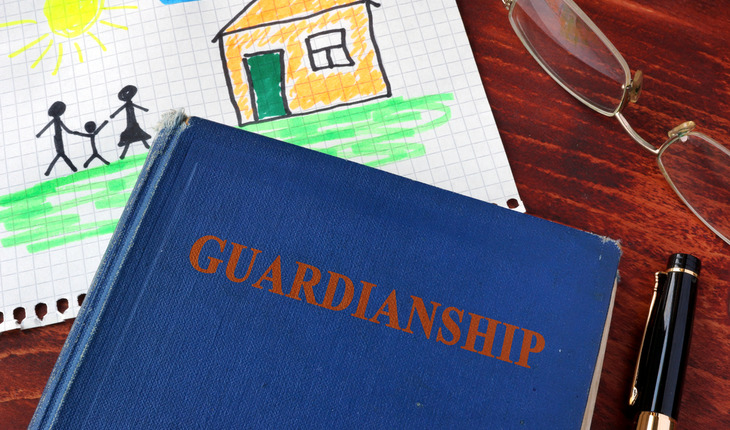 If you don’t have a will or your will doesn’t specify guardianship of your children, act now.. Think carefully about who will provide your children with a loving, stable home If you are raising children with a partner or share custody with someone else, you should have a serious conversation about who you want as a guardian in case something happens to both of you. Absolute trust is essential, but there are other qualities to consider in a guardian. Does this person have the time to become your children’s primary caretaker? Will the person be able to provide sufficient attention and support while your children grow up? Sharing important characteristics: Does this person already have children? If so, do you share a similar parenting philosophy? Does this person share your faith, if that is important to you? What is his or her stance on the importance of academic success? If the person is not family, are the person willing to help the children keep in touch with relatives or arrange visits? Do you want to choose someone who lives nearby so your children can remain in the same school system or remain involved in their current social activities? How well do your children know this person? If the potential guardian has children of his or her own, how well do the kids get along with one another? Every situation is unique. You may have a close relationship with your sister. But because she lives across the country, naming her as a guardian would disrupt your children’s lives with an extreme relocation. You might instead choose a close friend who lives nearby. Grandparents are a possibility if they’re in good health. If you have an older child who has already reached adulthood, consider whether he or she is mature enough to be the guardian for your younger children. Talk to your potential guardian. Raising a child is a huge responsibility and not one you want to spring on anyone without warning. Such a conversation will allow the potential guardian to raise any concerns, and it will allow you to discuss your wishes in more detail. Once you have settled on someone, name a guardian for your minor children in your will. Rules vary by state, so be sure to follow requirements closely to ensure your will is legal and valid. It’s usually wise to hire an attorney. All co-parents (you, your spouse or an ex-partner with custody) should name the same guardian in their respective wills to avoid complications. Name a backup guardian. Talk with a backup choice before naming him or her in your will. Besides a will, you might consider writing a detailed letter of instruction to the guardian. It can list items such as your children’s medical history and any special dietary needs. You might name particular items that hold emotional significance for your children, such as photographs, blankets, toys or other mementos. You can update this letter each year. The guardian will be grieving your loss as well, and may or may not already be particularly close to your children. Your letter might include advice for helping your children cope with their grief. If you can find a guardian who’s financially astute, that’s great, but financial expertise need not be a sticking point. You can name someone else to watch over the money. While you can leave assets to your children directly, if they are under 18 an adult must oversee the inheritance – either someone you appoint or someone that the probate court appoints as a guardian of property. You can also leave property to the children’s guardian with the understanding it is to be used for their care, but this offers little control. Other options offer better control. For instance, you can create a trust for the benefit of your children. If you set up the trust prior to your death, the assets can avoid probate court, which can save time and expense. In contrast, when you create a trust through your will (a testamentary trust), probate won’t be avoided. Either type of trust allows you to appoint a trustee who is not necessarily your children’s guardian. This lets you appoint someone with greater financial savvy than the person you chose to raise your children. List a primary trustee and a successor trustee. Discuss your plans with your potential trustees and cover the basics of what the job includes. Serving as a trustee may involve managing or investing the trust’s assets, handling distributions for the benefit of the trust’s beneficiary, and completing administrative duties such as recordkeeping and taxes or overseeing a professional who handles such work. You may want to consider naming an experienced independent trustee, a financial professional, to oversee your children’s trust or serve as a co-trustee with a friend or relative. This option clearly offers advantages regarding expertise and impartiality. However, you should ensure whomever you add will not complicate the administration of the trust or be inflexible. A typical trust will fund your children’s maintenance, support, education, and health care costs. If you have multiple children, consider whether you wish to specify how the assets should be divided among them. Depending on your situation, you may wish to set up separate trusts for your children, or it may be more logical to set up one “pot trust” for all of them. You may wish to have the trust buy a term life insurance policy on you. The life insurance policy can cover the period until your children reach a particular age, whether 18, 21 or 25. By placing the policy in a trust, you can avoid the problems inherent in naming a beneficiary under 18. Even without a trust, you can name your minor child as a beneficiary of your life insurance policy if you also name an adult custodian. The Uniform Transfers to Minors Act (UTMA) lets you name your minor child as the beneficiary of your life insurance policy. However, UTMA requires that the funds will become available at an age specified by state law, usually 18 or 21, which may be earlier than you would specify in a trust. If your estate is large, a trust is preferable because there’s more control. If you have a 529 college savings plan, name a successor account owner, since the minor child is the beneficiary, not the owner. The successor will manage the account in case of your death. It could be the same person you choose to serve as your trustee or someone else. Melinda Kibler, Certified Financial Planner (CFP®) and IRS Enrolled Agent (EA), is a client service and portfolio manager with Palisades Hudson Financial Group’s Fort Lauderdale, Florida, office. Palisades Hudson (www.palisadeshudson.com) is a fee-only financial planning firm and investment manager based in Scarsdale, N.Y., with more than $1.1 billion under management. Branch offices are in Atlanta; Austin, Texas; Fort Lauderdale, Florida, and Portland, Oregon. Read Palisades Hudson’s daily column on personal finance, economics and other topics at http://palisadeshudson.com/insights/current-commentary. Twitter: @palisadeshudson.